What Is Spine Surgery Pain? 1 What Is Spine Surgery Pain? Many patients who suffer from back pain think that undergoing surgery will alleviate their pain, however, this is not always the case. Even with advances in surgical techniques, not all spinal surgeries are successful. Occasionally, patients will experience chronic spinal pain after a surgical procedure. This type of pain is known as spine surgery pain or failed spinal surgery pain. Investigating patient outcomes and potential sources of persistent pain after spinal surgery will help physicians determine which patients are susceptible to suffering from persistent spinal pain after spinal surgery. Additionally, it will help physicians determine what treatment options may help to reduce spinal surgery pain. Low back pain is a very common condition experienced by millions of people in the United States. It has been estimated that approximately 85% of the adult population will suffer from some form of back pain during their lifetime. Spinal surgery is also becoming more common. One recent study that looked at spinal surgeries over a ten-year period found that there was a 200% increase in the number of spinal fusion surgeries being performed. Research has also revealed that approximately 200,000 lumbar laminectomies are performed each year in the U.S.
Based on the research that is currently available, researchers have found that the success rates for laminectomies and discectomies is higher than the success rate for spinal fusion surgeries. Pain Medicine published a study that reported that the success rate of lumbar spinal fusions was approximately 10% to 40%, whereas the success rate of discectomies and laminectomies was approximately 75% to 80%. The research has also shown that after the initial spinal surgery, the success rates are significantly reduced. Typical symptoms associated with failed back surgery include a dull ache in the back and/or legs, sharp pain in the limbs, abnormal sensations in the limbs, and a stabbing pain in the back and/or limbs. 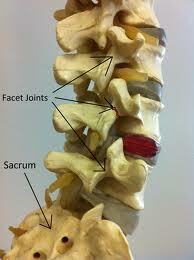 Recurrent disc herniation: This is a very common cause of spinal pain after surgery. Removing part of an intervertebral disc at one spinal level can lead to a weakening, and eventual disc herniation of an intervertebral disc at another spinal level. Patients presenting with this cause of spinal surgery pain will report an initial reduction in pain after surgery, followed by abrupt return of lower extremity pain when the disc herniation occurs. Fibrosis (scar tissue): Scarring in the epidural region after surgery is common. Preclinical and clinical research has shown that scar tissue is responsible for approximately 20% to 36% of cases of chronic spinal pain after surgical intervention. This build up of scar tissue may interfere with the ability of the spinal structure to manage with degenerative changes, resulting in pain. Deconditioning of spinal musculature: All spinal surgeries can potentially alter the weight distribution among the various spinal structures. Alterations of spinal biomechanics can lead to muscular instability and weakened spinal muscles can exacerbate spinal pain. Engaging in a complete physical therapy program can help to reduce the occurrence of muscular deconditioning. In addition to changes in the spinal structure as the result of surgery, other causes of spinal surgery pain include smoking, spinal stenosis, surgical errors, and infection. Medication: Typical pharmacological management of spine surgery pain includes non-steroidal anti-inflammatory drugs (NSAIDs), acetaminophen, tramadol, muscle relaxants, narcotics, as well as antidepressant and anti-convulsant medications. Physical therapy: Various studies have shown that when patients suffering with spine surgery pain engage in a physical therapy program they experience decreased pain and improved function. Physical therapists teach patients how to utilize proper body mechanics in an effort to reduce spinal pain. In addition to educating patients on biomechanics, physical therapists will typically use a variety of modalities to help achieve pain relief. These modalities include cold and hot compresses, ultrasound, and electrical stimulation. Additionally, they will develop an exercise plan to help strengthen muscles, thereby helping to reduce spinal pain. When these techniques fail to provide adequate relief of pain, physicians will turn to other pain relief options including nerve blocks, epidural injections, vertebroplasty, and radiofrequency ablation. These techniques are minimally invasive and can be highly effective for treating chronic spinal pain. Other complementary types of treatment that can be effective for patients suffering with spine surgery pain include chiropractic care, acupuncture, and biofeedback training. Often a combination of treatments will provide optimal pain relief benefits for patients suffering from spine surgery pain. Low back pain is a common condition experienced by many people in the U.S. Over the years, the incidence of spinal surgeries has dramatically increased. While spinal surgery may be effective for providing pain relief for some patients, in some cases patients have persistent pain or develop chronic spinal pain after surgery. This pain is referred to as spine surgery pain or failed back surgery pain. Once the physician has realized that the spinal surgery has failed to relieve a patient’s spinal pain symptoms, they will perform an assessment to determine the source of pain. Once the source of pain is established, an effective treatment plan can be developed and implemented to provide pain relief from this chronic pain condition. Deyo RA, Mirza SK. The case for restraint in spinal surgery: Does quality management have a role to play? Eur Spine J. 2009;18(S3):S331-337. Grob D, Mannion AF. The changing face of quality in spine surgery. Eur Spine J. 2009;18(S3):S277-278. Hazard RG. 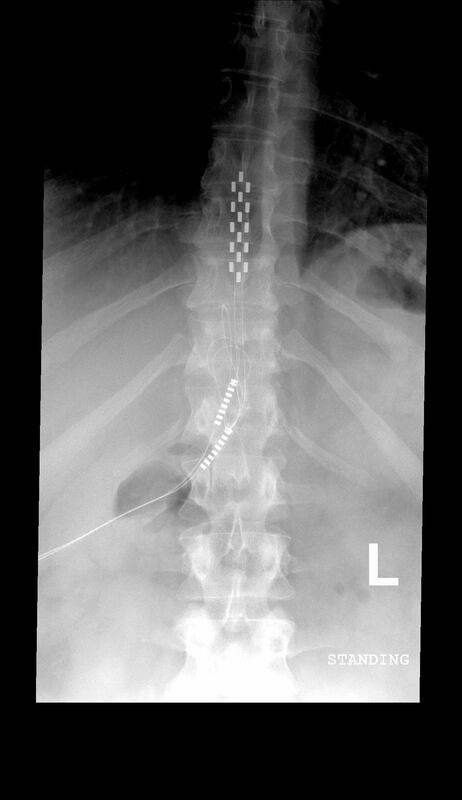 Failed back surgery syndrome: surgical and nonsurgical approaches. Clin Orthop Relat 2006;443:228-232. Ragab A, deShazo R. Management of back pain in patients with previous back surgery. Amer J Medicine. 2008;121:272-278. Thomson S, Failed back surgery syndrome – definition, epidemiology and demographics. British J Pain. 2013;7(1):56-59.